I really enjoy James Gulliver Hancock's All the Buildings series of books and now he has a new one on Paris. The two other books I have are on London and New York. 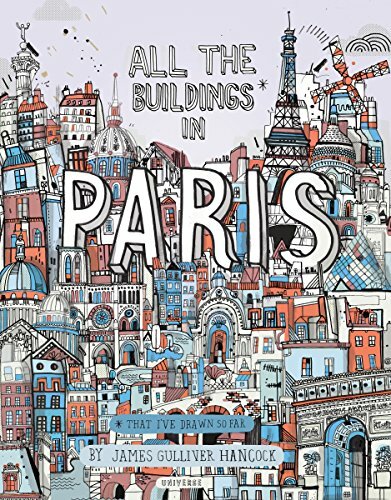 Featured in this 64-page hardcover book are all the buildings in Paris that James has drawn so far. The beautiful drawings were drawn and coloured digitally in sketchy style. The book includes well known buildings such as the Lourve, Notre-Dame and Eiffel Tower and many more lesser known but still wonderful looking buildings. I love the simplistic lively style. This is a charming book that I can recommend easily to anyone who loves sketchbooks or Paris. Highly recommended.